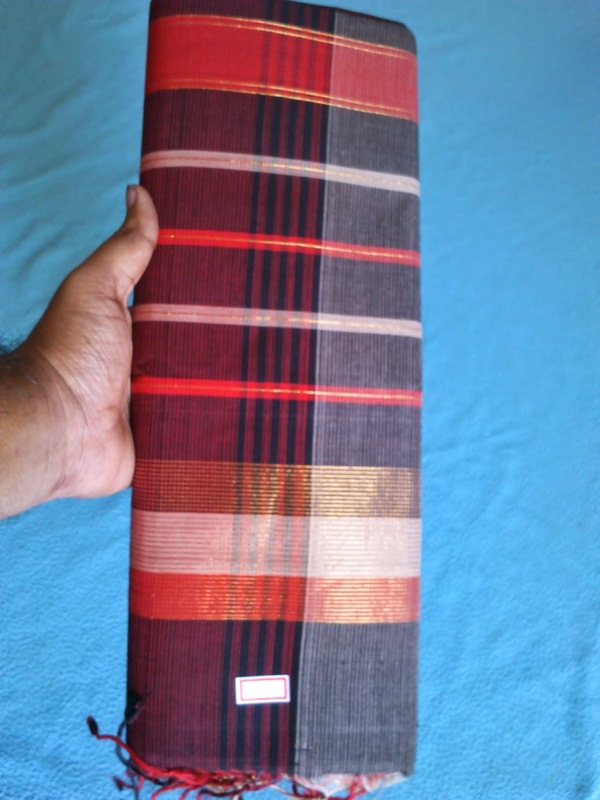 This is pure Uppada Pattu Handloom saree. Use this Coupon Code: OFFER5P, And get 5% Discount on it. Expires On 27th June, 2014. I go through on this it is very reasonable prices on Handlooms sarees. Mangalagiri Maroon color Cotton Saree newly listed in Etsy. saree looks good and i really like the pallu design. pallu have three different colors. running saree have soft maroon and while colors. Uppada sarees always bright and using vibrant colours. Low prices Uppada Tissue Sarees available in Pothys, starts from Rs. 3,755.00/- only. you can get Samudrika Pattu, Vastrakala Pattu are famous sarees from Chennai Pothys. You can get sarees doing online shopping in Pothys and they have free shipping all over india. You can get 29% offer in Siri Collections on few of sarees. this is the product code of saree: SC0962. the saree cost 6,900 rupees without offer. Following link for that saree. You can find few of Uppada and Mangalagiri unique design sarees in "Uppada Krishna Pattu Handlooms" and patterns of running saree and pallu different from regular designs. 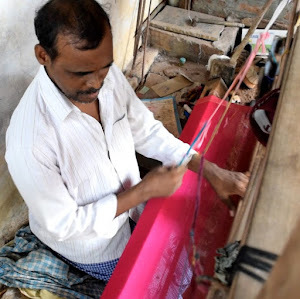 These people are weaving Uppada pattu sarees and Jamdhani sarees and Mangalagiri cotton sarees as well. Go through below link for pictures. 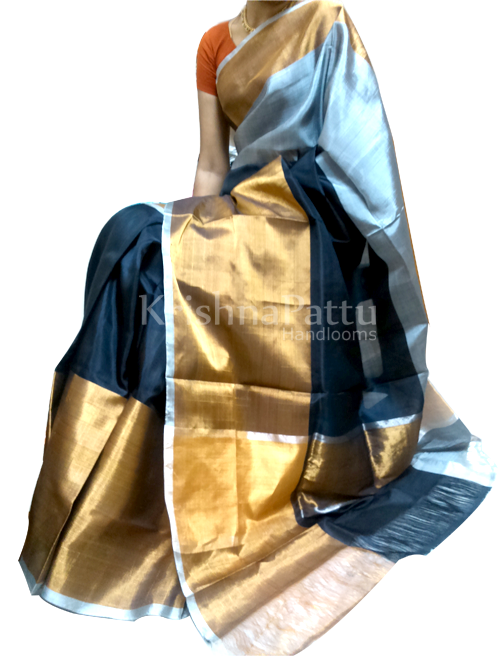 Orange Uppada Jamdani Pure Silk Saree with Gold & Silver mango butta, heavy floral design pall. it takes 20days to weave. we can supply based on order. Why Mangalagiri sarees? What special on it? Mangalagiri is well known for handwoven fabrics which are woven in a pit-loom, a traditional handloom. Most of the families in this town are into weaving from their past generations. The most woven and famous products are Sarees, Chudidhars, Punjabi Kurta, Salwar and Dupatta. These products are well accepted and known for their durability, comfort and use of the purest and finest cotton. The most used designs in the woven products are that of lines, checks, and plain patterns. There are top notch fabrics, however the saree colors get drained after a few years of regular use. One thing about Mangalagiri's woven products is that it stands out from other such products in its unique designs and the fact that the pure cotton being used, the product embraces the body without constraints and gives comfort on wearing them. You can get Mangalagiri sarees in Etsy. you can check below link of Uppada midnight blue silk saree. Uppada green color plain saree woven in Pit loom. three line color saree. You can get Uppada plain sarees in Etsy. you can check below link of Uppada midnight blue silk saree.